Ditch your gluten-free friends and guzzle these delectable local wheat beers. Banana, bubblegum and clove esters from the Belgian yeast find balance with a slight cherry juice infusion and hit of spicy rye. A smooth, light American-style wheat ale lightly dry hopped to tease out fresh berry notes. The Yooper beer wizards at Marquette’s Ore Dock fashion this citrusy summer wheat ale with toasty grain undertones and a luxuriously creamy texture. Manistee’s newest brewery is behind this traditional hefeweizen brewed with Pilsner malt and white wheat dosed with aromatic Mandarina and Saaz hops. This high octane Wheat Wine Ale from Short’s is brewed with blood oranges, peppercorns, orange zest and loads of spicy Simcoe hops. Proceed with caution. 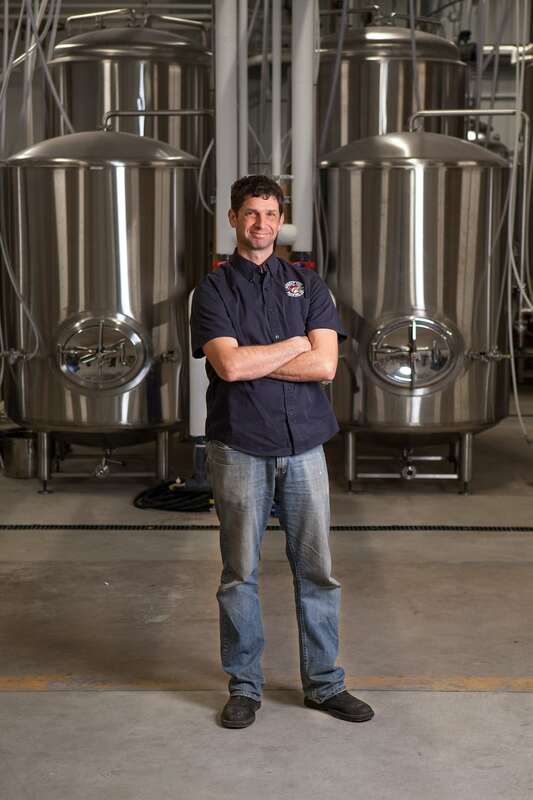 Deven Larrance honed his skills on home brew and as assistant brewer at Mackinaw Brewing before signing on as Chief Fermentalist at the State Street Marketplace’s newly launched Monkey Fist Brewing Company. We sit down with Deven over a cold pint to talk balanced brewing and the secret life of wheat beer. As a new kid on the brewery block, what makes Monkey Fist distinctive? My focus as a brewer, and what I pride myself on, is clean and balanced beers. A major movement in the craft beer industry has been experimentation and pushing the envelope but our mission here is to make a clean product with consistency from batch to batch. Balanced brewing, what does that look like? For me, a balanced beer has the right cohesion between alcohol, malt, and hops. I’m blessed to have state-of-the-art equipment that helps regulate consistency and makes beers that are aromatically focused and not bitter or astringent. Sanitation is a huge part of this as well. Since it’s spring, what’s a good warm weather brew? Wheat beers are perfect for spring and summer. They’re light, bright, easy drinking, and really lend themselves to citrus. I’m excited about our new Belgian witbier we call GW’s Little White Lie. Give us a beer geek autopsy of the Little White Lie. Wheat imparts protein into the beer, so it’s a little hazy in the glass. We use a Belgian yeast, which imparts fruity esters, which we accent by adding a little local cherry juice. We also add some rye into the mash bill, which counterbalances the wheat with a little spiciness. So we stroll into Monkey Fist on a spring day and order a pint of the witbier. What should we pair it with from Marketplace? It’s amazing with a fattoush salad from Ziatun or housemade bratwurst from Wren the Butcher.